Receive notifications of new blogs and podcasts! Making a senior care choice can be a difficult decision for caregivers. What if you were able to reach families that are struggling with that decision during their research process and empower them to move forward when they are ready? On this episode of the Senior Care Growth Show, Nate O’Keefe, Founder and CEO of Roobrik, shares how his company’s online platform helps caregivers self-inform and share more information with your sales team when they are ready. Listen now or read the full transcript below. How do your marketing and sales activities stack up to other communities? Download Senior Care Growth’s Senior Care Sales and Marketing Report to find out now! Winston: Welcome to this episode of the Senior Care Growth Show. My name is Winston. I am super excited today to be joined by Nate O’Keefe. Nate is the CEO and co-founder of Roobrik, a decision support platform for senior living communities. Nate, welcome to the Senior Care Growth Show. Nate: Thank you very much for the invitation to be here, Winston. I’m super excited by what you guys are doing on the program and I’m glad to be able to share our perspective. Winston: Are you curious about how you could improve your website, marketing or sales activities to increase revenue for your organization? As a special thank you for listening to the show, we’re offering Senior Care Growth Show listeners an exclusive strategy call free of charge. To set up a time to get specific actionable advice, visit www.seniorcaregrowth.com/connect. We’re looking forward to helping you grow. So just by way of introduction, maybe you could tell our listeners who you are, what it is that you do, and what is Roobrik? Nate: Yeah. Yeah. So again, my name is Nate O’Keefe. I’m co-founder and CEO of Roobrik. Very simply, Roobrik is an online assessment platform that helps older adults and their families make difficult care decisions, particularly around that decision to get extra help either at home or of course by moving to a senior living community. We want to make it as easy as possible for these folks to make the right decision for them at the right time and to be able to act on that decision as easily as possible. So what that translates to for our senior living partners is we want to help you reach families that are struggling with these decisions and empower them to move forward when they’re ready. Just to give you a sense of how our partners interact with it, they’ll use Roobrik on their websites and email and paid search, other digital marketing programs, or social to engage folks who still in that anonymous browsing stage or people that are on your site, but they’re not moving forward often because they’re not sure of that timing or need. And so our focus is on catching them in those moments and helping them self inform. And then take those next steps with you and particularly connecting with your sales team, sharing a lot more information about what you know about your situation, just in terms of the numbers. Nearly half the folks that we engage end up opting in to share the results essentially becoming very motivated, self qualifying opt-in leads. From a practical perspective, that usually ends up being about 20 to 40 percent more opt-in leads than you’re getting from your contact form alone. Some of our partners started out seeing this as a digital ad on, but when when they’ve used it for a couple of months, they actually begin to identify it more as a new alternate leads source because when people come through our program and ended up in your CRM or end up in an email to your sales team, they’re fully qualified leads that are sharing a lot more information about their situation. So we’re in this world between a new lead source and a digital engagement strategy. That has been a fun place to work and we’ve learned a lot from the partners we’ve been working with so far. Winston: Yeah. Well I was super excited to have you on the show just because I really do think that, there is a way to help folks who are making this difficult decision to trying to figure out what’s right for them as a way to be super, super helpful and also be helpful for your community or for the business and generate the right leads in the right results that you want. And so I think that this is an interesting intersection of those two things, a place where you can be very helpful, but it can also help drive business results. To that note to, you know, Roobrik really does help in this research process. How have you seen the way that people research options — the way that they’re making these decisions? How has that changed over the past few years? Nate: It’s a good question. You know, we, we see the same shift that has occurred in other industries finally starting to happen here and that is, “I want to do 90 percent of my research online so that when I talk to someone, I’m informed about what I need and I know a lot about my options, how they work, what they cost, you know, nobody shows up at the car dealership today and says, just show me what you got. Cars? Tell me about these things.” You know, they come in and understanding what they need from a vehicle. They’ve thought about, “okay, well I’ve got kids I need to be able to do this, this and this, or I use this vehicle for my job. So it needs to do these things.” They understand what the cost range should be, what options might be available either across different vehicle types or even option packages available in that vehicle. They are empowered consumers and this I think is a great thing for the senior living industry. The more folks understand about, for us it’s really a focus on their needs but their needs and their options. The more that they dispel some of the preconceptions or misconceptions about senior care, the better prepared they’ll be to make a lasting choice. We talk a lot about helping people find the right fit and I, and I think our partners feel the same way, that they want to find people that are the right fit too. It’s one thing to, you know, meet your occupancy goals, in general, but if you can get people in the door that are there for the right reasons, because they thought about this, they’ve thought about what you offer, we see that as a much more compelling long term value proposition. The challenge, and this challenge is also unique to senior care, is that this is not a decision that simply means looking at a bunch of different products and picking the ones you like. I mean, we all have seen sites with the grid of building photos and, you know, one of the things I think we’ve been uniquely successful with is this is one of the most complex and emotionally challenging decisions that most of us will make in our lives, And the Internet as it exists today, websites, apps, etc., are not tuned to help with these sorts of issues. I think the best senior care websites will approach it differently. They’ll say, let’s make it our jobs to help people figure out this tricky challenge. If all they need is that fifty cent gasket, let’s be the heroes that tell them that. We can maybe say, “here are some gaskets that are the right fit for you.” If they do need to have all the proper plumbing replaced, are they do need to make a more significant life change and say, yeah, I think we do need to make a move. Remember that this for some people is going to be shocking news to hear or that finally reach that realization that it may take them a while to reach the same conclusion and be there to help them along the way. There’s not a template for that right now in the Internet world. There are some folks that do it well and a lot of that’s captured in tone and voice and just community culture. But it’s not like you can do that out of box. And that’s one of the things that inspired us to take the approach that we have. It is a real commitment on the part of the organization to embrace that helpful nature and to not be always selling and trying to move people in. For me, it’s a long term approach and I think that we’ve seen this in senior care and also other industries that have really committed to this helpful nature. A quick aside — I was at REI yesterday. I was looking for a new jacket as it’s starting to get a little bit cooler and fall season. And I told the person I had a Patagonia jacket that was starting to pill and they said, why don’t you just send it back to Patagonia? They’ll probably fix it up for you. You don’t need to buy a new jacket. And this is the REI sales guy telling me you don’t need a new jacket right now. You can fix the one you have. I thought that was amazing. And you know, they do a great job with content and being helpful and everything. And I think that that mentality is not something that’s innate in someone who’s responsible for driving revenue and filling the beds and having, you know, a high occupancy. It’s a little counterintuitive, but it is the right plan in the long run. I think that REI story is an excellent example, but it harkens back to the classic, Miracle on 34th Street, where we don’t have what you need today at Gimbels, but Macy’s down the street has it. I think that’s the thing that generates trust in a brand. It generates authenticity. And especially if you’re in an area where maybe you didn’t need the jacket today, but maybe you were going to buy one in six months. The first place you’re likely to go back to now is REI, knowing that they’re going to steer you down the right path. They’re not going to try something. It’s not going to be the right fit for you if you can solve that elsewhere. So again, not rocket science, but I think it’s a hard thing to live and breathe everyday and it’s a hard thing to carry all the way upstream to your online presence where you might feel like you don’t have a lot of control over who’s coming to your site and how they’re acting. And I think what we’ve demonstrated. There’s other ways to get more control than you think. Winston: Yep. And you mentioned this, that you know, there are some communities that are doing this well mainly with tone and with voice. To me that’s like the surface level that they see — that nice friendly messaging and we’re here to help type stuff. But do you feel like senior care organizations right now are doing enough to support this new way that people are researching? Nate: I want to be clear on this. For all of our partners and virtually everyone we’ve met in the industry, the folks on the front lines absolutely live and breathe these behaviors all day. Every day. They take them home at night. They’re thinking about the people that they’ve had interactions with because they’re developing those authentic and meaningful relationships. When a family is sitting across from them, they are perfect. They are helpers first and salespeople second and if the person they’re helping leads to a sale, that’s great. But you’d be amazed or maybe not, by how many people we talk to that say the best choice for that family and ultimately for the community is what we were just talking about. To find the right fit for them. Again, what’s tricky is to take that philosophy and extended up to where older adults and families are starting their research. If they’re spending the first 90 percent of their buying process online, anonymously and not in front of you or your sales team, how can you help them with that part of the process? And that’s where solutions like what we built in Roobrik come in to take that same trusted voice and make it available on your website 24/7 so someone can have a personalized, positive, empathetic interaction with your brand and get a lot more informed. It’s often that nudge that says, okay, yeah, I think I am ready to talk to someone. They just needed something that said it was okay to do this, that they’re not crazy to be thinking about these options, that nudge, that then puts that person in front of your sales team that can do that live where it’s going to be its most authentic and most reflective of the how you can actually benefit that family. Yeah, and I think when I was thinking about this topic and how do you shift the website to be more helpful and empathetic and help people make the right decision. You know, I started to think through options because Roobrik is certainly an option. It’s a solution to this challenge. Other things you could do like ebooks or guides or webinars or helpful content. I think the thing that you just mentioned this different though is that this is personalized. An ebook is just an ebook and it’s a guide and it could be helpful, but it’s not specific advice tailored to that person’s unique set of circumstances. Tell me a little bit more about how something like Roobrik works to be that personalized solution, because I think this is sort of new for folks who are not familiar. That really hearkens back to our founding story. Me and my co founder were dealing with care issues actually at the opposite ends of the age spectrum. I had a 26-week premie at the time, so super early. He’s doing great today. But I was going through that experience. My co-founder was helping as the primary caregiver for her mother and her inlaws. And our shared experience was how hard it is to become informed online when you’re in one of these sort of crisis states. And I think we all do this thing where we go to Google following either an observation that concerns us or a diagnosis or some sort of other crisis trigger and we’ll spend hours on that platform looking for information, um, that feels accurate, that feels relevant, and feels personalized. As someone myself who had a digital product background, when I was in those moments of crisis myself, I found the whole process of becoming informed online really frustrating. You really have to become an expert at online research. The kernel of the Roobrik philosophy was, well, hey, what if a platform asked you a few questions about your situation, couldn’t it then bring back a much more curated set of tools and information resources? And then what if we took that a step further and structured it around an informed decision they can process using some of what medical decision science has determined are ways that people think about these complex issues. What if consumer health or care information was personalized so you can see yourself in it and be action oriented? So it wasn’t just, here’s what you’re dealing with, good luck; but here’s what you’re dealing with, here’s how you can talk with your family about it. Here’s how you can talk with the care provider. Here’s some more research you can do with experts in this area. I think a lot of us are used to reading a disease monograph on WebMD or on another information site and it’s just really hard to see what feels like a really unique situation that you’re going through in that static information. That’s not to say that having that information on your website isn’t absolutely key. I think that’s a big part of it, but I think what you’ll find is that there are more people who are more willing to engage in something directly that is personalized than you might think if you give them the opportunity to do that. And if it’s done in a way that really does promote their best interests first, that it can be anonymous, that it’s unbiased, that it builds that trust. And that’s, that’s the gap we’re filling. We’ve tried to make it easier to accelerate that without trying to figure all of that decision science piece out for yourselves. Winston: Yeah, that’s awesome. That is a lot of smarts that you can add to a website pretty quickly. With this decision guiding platform, what results have you seen? You mentioned that people are more willing to give up that information than you might think. What results have you seen from folks who have implemented something like this? Nate: Yeah, I mean obviously we’re biased on this one. Our partners do see some pretty compelling numbers from the platform, from a hard numbers perspective. One of the pieces of data that’s been very consistent across providers, whether they have 5 communities or 50 communities, is they’ll start to see 20 to 40 percent more online leads the day they go live with Roobrik. And so this immediately validates that there is an audience out there that’s on your site today that is not moving forward for a variety of reasons, but we tend to think of it as uncertainty or inertia where they’re noticing changes. They know they need to do something, but they just need that nudge that says it’s okay to take that next step. Something that might validate their own beliefs and in some ways reduce guilt. I mean, if you have something on the site that says, based on what you said, a moderate level of care would be appropriate in meeting that need in an assisted living environment would also be beneficial. That can reduce guilt, that you’ve autonomously said, yeah, we need to put mom in a home because you’ve got something that feels and is validated behind that. So Roobrik almost immediately exposes that audience and gives them something that lets them move forward. We find one of the interesting things about the platform is that there are 23 questions that somebody who’s going through it is answering, and then opting in to share those results. So you get some really fascinating demographic info into this positional data. We found that the audiences will typically comprise both older adults and family. So we consider that to on average be 20 percent prospects. They are a lot more willing than our partners tend to think to go through something that says, “is it time to get help?” because I think there’s this preconception or misconception that people don’t want to think about their own care needs when they’re looking for themselves for an independent living option. We’ve had independent living-focused partners that have put this in the channel and found 30 to 40 percent of the other responses are people that are willing to do that self assessment and willing to share those results with them. And then the other 80% — 60% depending on who the partner is — will be that expected typical adult child. And what that has told us is that by the time somebody comes to your website and they’re researching, they know that this is going to be the best choice or a top choice for them, a priority choice for them to consider. But often they just need that nudge that allows them to take that next step, that their expectation is managed about what’s going to happen when I pick up the phone and talk to someone. What are they going to ask me? Are they going to be too salesy? I think most of them will be pleasantly surprised when they find that empathetic tone continuing in those live conversations. From a softer perspective, they’ll start to hear their prospects echo back some empathetic language to them, this really helped build my trust. Thanks for helping me think through this. This is what convinced me to take that next step. And again, these are the philosophies all of our partners already have. It just allows them to echo that and reflect that or be their best selves even in places where they don’t typically have that core competency around digital engagement. Winston: Yeah, I think that’s really a good solution. And you said it best. It is the folks on the frontline already live and breathe this mentality. They want to be helpful and empathetic. And I think if you get someone to that point where they’re interacting with someone in the community, they’re likely going to do the right thing and guide them to the right decision. It’s just that on the website you do go from here we are, take a tour, or talk to somebody and maybe somebody is just not to that point yet. I think is a good way to engage those earlier stage leads who are just researching and maybe not quite sure that they’re ready to talk to somebody. And then, you know, my next thought is, somebody fills out or goes through the questionnaire, they get the study. Wouldn’t it be great to follow up with them with additional resources and nurture them as they’re getting to that point of decision? Nate: This is intended to be very person centric, too. We describe it as helping people get into their right swim lanes. And if they still want to remain anonymous then that is completely okay. One of the experiences we always hated as consumers is when you go through an engaging experience and you’re held hostage for your results, that can really quickly create a negative impression. It’s like, you haven’t earned the right to ask for my contact information yet, or my email address, and I’ll share that when I’m ready and when you build up enough trust for me to do that. So if you want to remain anonymous — and a lot of folks in this phase in the decision still do — those people will get an email in their inbox with your name on it and this report, they’ve had a positive touch and it’s something that is sitting with them that when they’re ready to re-engage. Hopefully you’ll be back at the top of that list. The second swim lane is, “I like to use the phone and I want to talk to someone. I just needed to get to the right point. I’m ready to talk.” And those folks say yes definitely, or maybe they fill out the contact form and they’re opting in, they’re saying, “I might be to share my results and online information with this partner.” It’s a much more deliberately qualified lead now because we didn’t want to do any smoke or mirrors or trickery around, “well, yes, you are secretly opting in to share this even though it was in the fine print.” We want to be very deliberate that the people that are coming through to our partners that are sales qualified and sharing that information so they know what to expect so that when they get on the phone together, there’s not a, “why you calling me again?” which is always an awkward experience. And then the middle swim lane is, “I think I’m ready to start consuming similar information or nurturing from this partner or this brand. So I’ll give my email address but I don’t want to talk to anybody yet.” As a consumer myself, those are the three mindsets I’m in, and the more platforms or websites acknowledge that and have an easy place for me to land, the better I feel about it and the more I trust it. And so we’ve tried to echo that here. I think the nice thing is we haven’t had to do a lot of convincing of our partners. So many of them have that same philosophy. It can be hard to take that and find the UX and UI and language that makes that a reality and makes that easier to do. Winston: Yeah, I think that makes total sense. So Nate, you brought up a lot of good points here and I think that bridging the gap for those leads who are not quite ready to come in and take a tour, quite ready to talk to somebody, but giving them the helpful guidance, personalized guidance, all of that is for me just spot on. I think it makes a ton of sense as people are shifting to doing the research on their own. Like you said, they’re not coming to the car dealer saying, “what cars do you have available?” They’re going to the car dealer saying, “I want this car.” They’ve already done all the research. They know exactly what they want. So you know, as communities are trying to change and to do this a little bit better, what are some of the things that you would recommend that they do? What low hanging fruit should they tackle first? What would be your “to do” list for folks who are listening saying, yes, I want to get there? Nate: There’s not just one answer and it’s not just a series of tactics that you can flip on necessarily. Fortunately working in an industry that is so mission driven, from the maintenance team to the executive level puts families first. However, if your organization does have cultural gaps and folks aren’t living that everyday, it can be really hard to fix it with digital band aids or any band aid. That foundational work, perhaps you’ve recently had a merger or if there’s been some other change that has left a cultural gap there, I think again, it’s hard to just build on top of that with a framework of programs that fixes everything. Ultimately it is going to depend on the interaction that somebody has when they walk in or when they talk to you on the phone, and if there’s a gap between an experience they have on the website and the experience they have in person, one can sort of make up for the other. But consistency is really where that trust is earned. And so, everyone’s always working on it, even if they’re culture is top notch, they recognize that it’s something that requires constant maintenance. If those cultural building blocks are sound, I think it suits a couple of things. It’s finding the voice in your marketing that reflects that. Some of that may be echoing what you hear — that you liked the way they talk about it, but then finding your unique angle and then offering the digital tools and programs that support that. I would say some of our most successful partners have some traits in common. This one is not universal, but we find that having centralized management of online leads can both ease burden for community level sales teams and allow you to really develop a core competency around the unique skills required to work with and nurture online leads, whether they come from Roobrik or other sources. That brings me to the next point, which is the cliche of speed to lead, but it really does matter. It doesn’t mean you answer the phone in eight seconds necessarily, but it means sending out a personalized response with an empathetic tone. You can do it in under an hour. That’s great. People notice they say, wow, you got back to me really fast. I think it plants the seed that if you are an organization that responds quickly and deliberately when I have a question at this level, you’re also going to help my mom or my dad when, when they need help in a similar timeframe. Just a couple of final thoughts on that. It’s using the right tools. Of course we believe everybody can benefit from tools like Roobrik, but a adding live chat can be really good for certain audiences that are at that point where they do want to schedule something or get a piece of information. It’s important to bring personal stories from residents to the forefront, whether that’s video or other narrative forms. And I think letting them talk about some of the reluctance they had in making that initial decision. I think helping people overcome objections often is understanding that a lot of the people are happier, that this was successful choice, and these people had the same reservations you have. So maybe not being afraid to talk about some of the challenges, not trying to sugarcoat all aspects of it. I think that authenticity resonates and builds trust and some of that’s just getting the camera crew out with someone from your community and a resident and going on an hour conversation and looking for those tidbits that can be helpful. And so I think there’s a lot that can be done with what’s out there today and with what’s already internally happening in your environment. Just bring it to the surface in the right way. Winston: I love that response. You’ve got so many good tidbits of information and advice there, but I think that starting with culture is so important. I thought your point around the difference between website and in person experiences where so many organizations do have disconnects on one side or the other. And starting with the culture, firming that up and making sure that that message is consistent across the entire organization I think is really the way to go in building that foundation. And then putting the tools in place to support. So man, all really, really good advice, Nate. I can’t tell you how much I appreciate having you on the show. I’d love to have you back sometime. Nate: Yeah, I appreciate that feedback. I think coming from folks like yourself that have spent a lot of time working hands-on with our partners in this world and elsewhere to solve these problems. We’re not going to be the ones that say, “we can’t figure out your website. We can’t figure out your content strategy,” and having partners in the agency world and other technology partners that support the same philosophies are so critical to us. What you all are doing is an important voice and we need folks like you to make our stuff work and so appreciate again the opportunity. Winston: Yeah, absolutely. Well, thanks again, Nate. 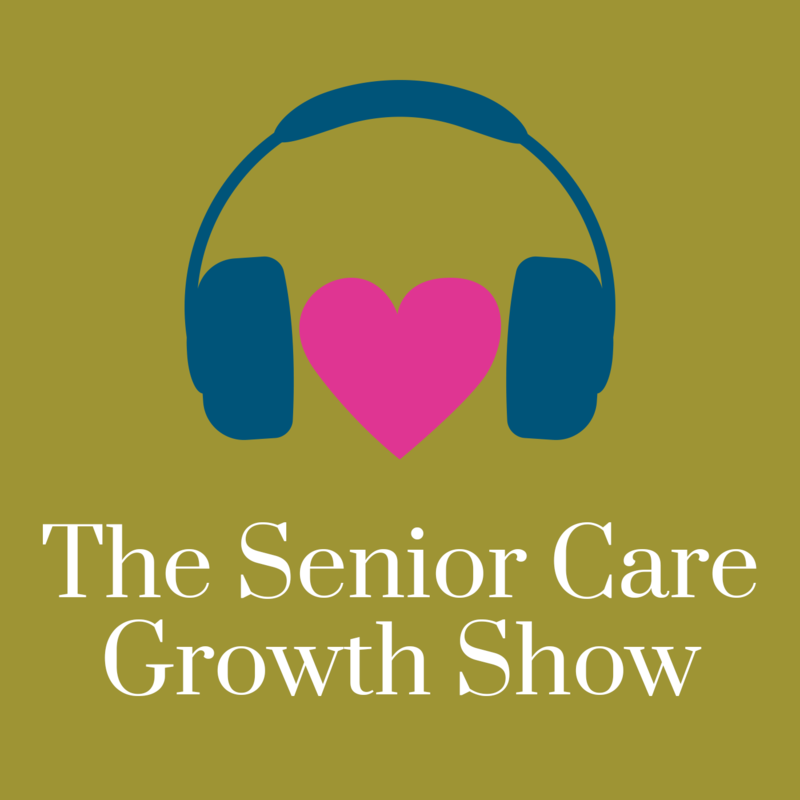 You’ve been listening to the Senior Care Growth Show. My name is Winston. Thanks for tuning in. Check us out on our next episode of the Senior Care Growth Show, where a senior care sales and marketing professionals come to grow. Thanks a lot.